The days of accountants experiencing limited external competition and limited price resistance are over. Accountants the world over have to market better, sell better, give better service and offer more value added services. Choosing the right strategy can be tricky. How you adapt to these changes could make or break your firm. During this webinar you will learn how to create a one-page plan that will make your team accountable, through Key Performance Indicators (KPI’s) to achieve the goals you want for your firm. Since 1994 he has been running businesses that specialise in helping Accountants run better, more profitable businesses. Accountants intrigue Rob and over the years he has trained them, consulted to them, coached them, researched them and visited thousands of them. His speaking work has taken him around the world where he has spoken to in excess of 150,000 accountants. Currently his landmark strategies and products are used by over 16,000 accountants in over 20 countries. In 2005 he created the revolutionary coaching model called coachingclub. The coachingclub model enabled firms to be accountable, to consistently learn and to share ideas amongst their peers. Over 800 Accounting firms have graduated from his coachingclub program. The vast majority of firms have doubled or tripled profits because of the program. He is the author of 2 bestselling books “Accounting Practices Don’t Add Up – why they don’t and what to do about it” AND “Remaining Relevant – the future of the Accounting profession”. Both have received rave reviews from Accountants and industry professionals from around the world. In 2014 he released a groundbreaking cloud software solution called PANALITIX. Accountancy firms around the world use PANALITIX to get better numbers and delight their clients. 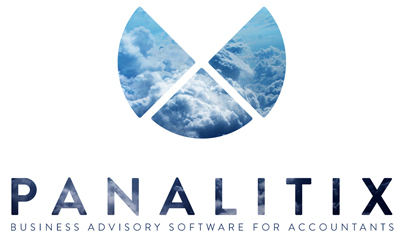 PANALITIX helps Accountants automate their marketing and delivery of business advisory services. Rob is a keen golfer (single figures) and adventurer (he is ticket holder 293 on Virgin Galactic to go into space). He lives in sunny Brisbane, Australia with his lovely wife Natalie and 3 children. Colin Dunn is a Chartered Accountant with extensive experience in coaching accountants to develop and implement strategies to build better businesses and help their clients achieve their business and personal goals. Having spent almost 10 years in a business advisory capacity in a fast growing accounting firm in the UK, Colin has spent the past 17 years training, coaching and consulting to accounting firms, in the UK, the United States, Australia and New Zealand. Colin has developed content, products and systems to enable accountants to work closely with their clients to grow their businesses, improve profitability and better manage cash flow. He regularly speaks on these topics and passionately believes that accountants can play a major role in kick starting the economy by providing truly valuable services that their clients both need and want. Colin is an engaging and entertaining speaker who will challenge you, make you think deeply about your accounting business and provide you with pragmatic advice that make a real difference. Colin is also a prodigious author and generator of content, primarily in the form of 'how to' material to enable Accountants to respond to client needs with value-based services. PANALITIX is a global membership community that contains everything Accountants need to build great businesses - for themselves and their clients. We believe Accountants are the support, the sounding board, the mentor and THE TRUSTED ADVISOR for small-to-medium-sized businesses. If we can help Accountants build great businesses, they, in turn, will help SMB’s build great businesses. SMB’s are the backbone of an economy. Yet they are the least supported and go through all the pain and suffering of being a small-to-medium-sized business. We believe we can change economies through Accountants by helping Accountants build great businesses and becoming the TRUSTED ADVISOR for SMB’s for all parts of their business and life. PANALITIX is where Accounting firms train and develop teams, acquire and deliver technology and content, secure accountability through coaching, and share knowledge via peer-to-peer interactions to drive increased profitability, enhanced capacity and sustainable revenue growth.